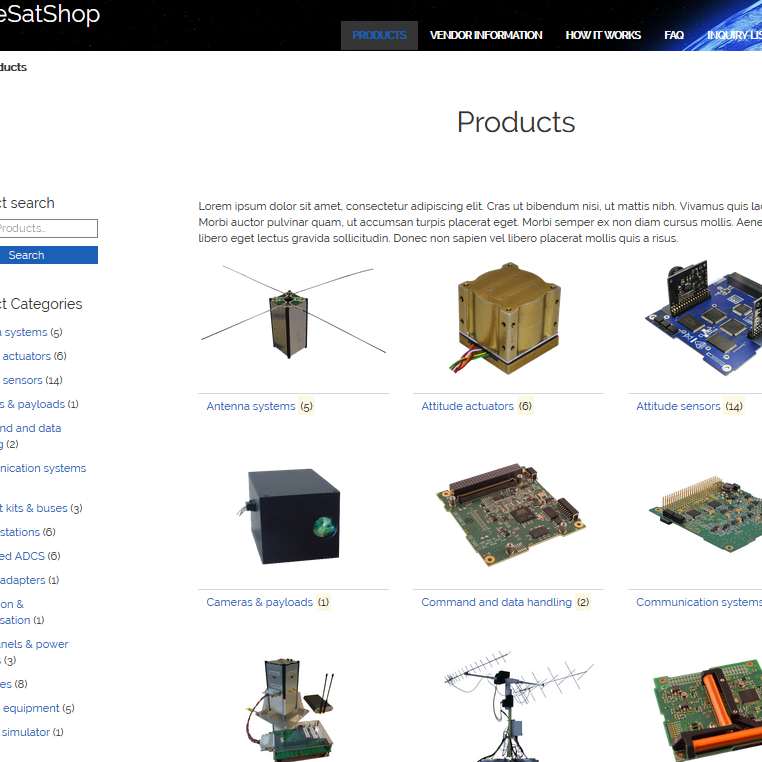 CubeSatShop.com’s goal is to connect customers with satellite components and subsystems manufacturers while offering a standard method of providing key subsystem information. The website acts as an information portal, offering the possibility to directly inquire about a product. After the inquiry a sales engineer will contact and advise you based on your project specifications. Please note it is not possible to buy products directly from the website. Below you will find a detailed overview about how CubeSatShop works. Browse among more than 70 products divided by category. To make your search easier, you can filter the products based on vendor or flight heritage. The inquiry list works as a ‘wishlist’. 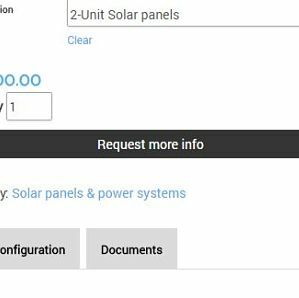 By pressing the ‘Request more info’ button, the product is added to your ‘Inquiry list’ while you can continue browsing. Once you are done, you can go check your inquiry list and proceed to checkout. 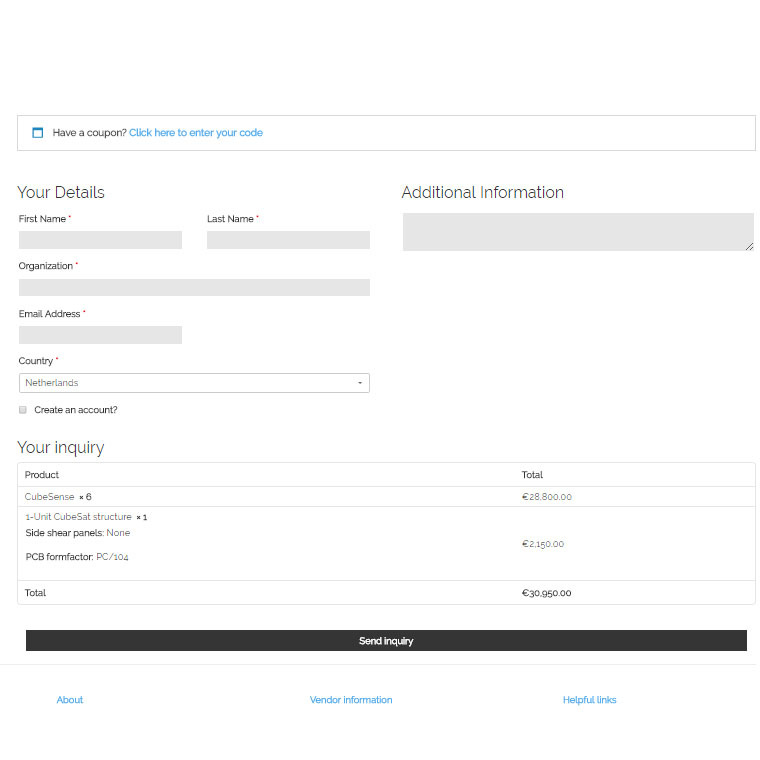 For the checkout process you will be required to fill in some basic contact information. 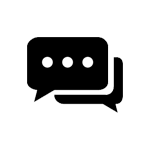 After checking out, you will receive an automatic e-mail confirming that your inquiry has been received. Soon after, a sales engineer will continue the discussion with you and eventually, help you place an order.